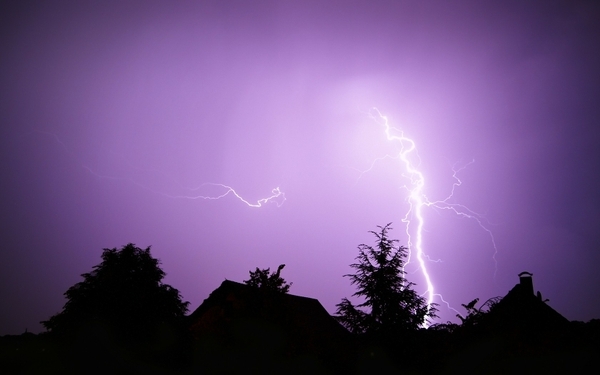 Lilac or purple-tinted lightning is usually the most commonly observed colour. It is often caused by precipitation, so the observation of it most likely means that the thunderstorm generating it will be a high-precipitation storm. Lilac lightning is also rumoured to produce louder thunder, though this is disputed. Blue lightning bolts tend to be the hottest lightning bolts to occur on earth. They are also some of the more commonly observed colours (after lilac lightning). Atmospheric-wise, they maybe caused by small amounts of dust in the atmosphere. This is because these dust particles scatter the light coming from the lightning, in a similar way to how molecules in the atmosphere scatter the sun's light, making the sky also look blue. The light radiated by virtually all lightning bolts is white. This means that to observe it, the air must be free of pollutants and dust which can scatter and refract light - so essentially you're seeing the lightning with very little interference from the atmosphere. White lightning is also the some of the hottest lightning that occurs on earth (after blue lightning). Yellow lightning bolts are much more uncommon and tend to be cooler than blue, white and lilac lightning bolts are. They also tend to be indicative of dry thunderstorms, so the presence of yellow-tinted lightning could mean that an approaching thunderstorm is a low-precipitation storm. Other colours of lightning have also been reported. Orange and red lightning has been observed and these bolts tend to be some of the coldest lightning. These colours also tend to be observed near the base of the lightning, as it strikes the ground. 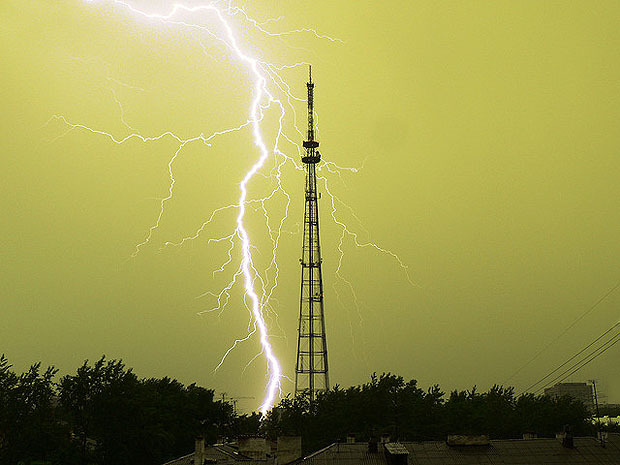 Green-tinted lightning is also occasionally seen, and this may be caused by the lightning heating up certain gases in the air, giving it a greenish tint. Well that was a bit of fulminology for you there. I hope you stuck with it, and thanks for reading. Green lightning usually foretells hail too .. I'll always remember the most vivid pink lightning from a huge all night MCS in Devon in the mid-90's. I've never seen such a strong coloured lightning since. See the blue and white regularly, but never the pink again. Ooo, an MCS in Devon? Which date was this if you can remember? I clearly recall seeing a bolt of red lightning at the end of August 1976 - as noted in my diary. Just the one bolt. Never seen red lightning since. Really? I've never seen any of the more exotic colours myself. Yellow lightning is as far as I've ever gotten, but even that has been reasonably rare. Really? I've never seen any of the more exotic colours myself. Yellow lightning is as far as I've ever gotten, but even that has been reasonable rare. Yep...really stuck in my mind as I'd never witnessed it before...Red CG coming down over Cheshire, had a great view of the Cheshire plains from the house I was living in at the time. I have seen red (dark pink) lightning, but only when the strike has been away near the horizon. I'm guessing that longer-wavelengths (reds) penetrate rain and dust better than shorter ones (blues). Similar thing as what happens to sunlight at sunset & sunrise? I have seen red and orange lightning a few times, including early hours yesterday. It does seem to be when further away though and only in plume events from the continent. I do think it has to do with dust and pollution in the air as this would explain why they only occur when the lightning is further away and only in plume events whereby pollution is brought in from the continent on the plume. These most recent storms brought blue/white and orange flashes in the clouds at the same time once the storms were a long way over the horizon. I wonder if this had anything to do with the sun beginning to rise at the same time. Actually now that you mention it, I do remember seeing orangey-red lightning in Florida once. I was watching a distant thunderstorm over one of it's many lakes and some of the heat lightning in it's anvils were orange and red. 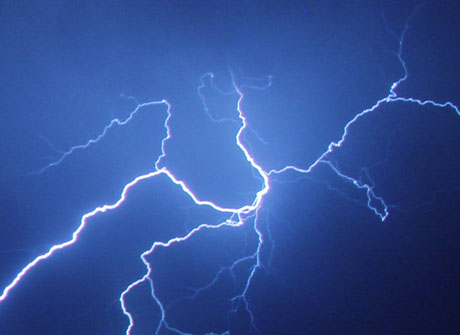 99% of all lightning flashes I ever saw (mostly during the winter months) were blue-white. The only purple-pink flashes were during those dusty Continental plumes, such as in August 1997. There's more to this subject that at first appeared, methinks? As mentioned above pollution alters the wavelength of the colours, distant lightning near the horizon can be orange-pink, becoming blue as the storm gets closer. Dawn and dusk will also make lightning orange and pink. And camera white-balance settings will add various tints to photos/videos. Blimey, we were in Woolacombe. Could have been any year from 1994 - 1997. I can still recall a whopping thunderstorm on Woolacombe beach. That was in 1962! I know pollutants in the atmosphere can make the moon appear red because of the way the pollutants affect the wavelengths that can get through... or something like that. This is only apparent when the moon is fairly low in the sky though, and never when the moon is overhead. If you apply this same science to lightning it could explain red/orange lightning when a distance away and on the horizon. I have never seen overhead or close lightning that is red... only ever blue, white or occasionally pink. Incidentally the pink lightning I have witnessed has always been during the evening hours (i.e. as the sun is getting lower in the sky). The storm on Saturday morning occurred in a plume scenario, air quality was poor and it happened overnight and continued on towards dawn. I can see on mu video a slight red tint to the blackness on the horizon, possibly from the sun just behind the horizon ahead of sunrise. This may explain the red and white/blue tints to the lightning at the end of the night - red on the horizon but blue/white when closer. The snap below is from a distant flash - notice the reds, blues and whites (albeit feint) and the redness on the horizon looking east. Sorry it is not brighter but by this time the storms were around 15 miles away to my east. On Friday night I saw white, pink, blue and orange lightning. Been a long time since I saw red lightning (usually at dusk or dawn) and I think I may have only seen yellow lightning a few times, from IC lightning where part of the bolt is visible and the remainder obscured. I saw greenish lightning once and that's about it. I saw yellow lightning on Friday night, part of a small storm passing 20 miles west of here. Was a very unusual thing to witness. Witnessed yellow lightning on that isolated possibly dry elevated storm over Northampton last Wednesday in the small hours of the morning. Friday nights beast had pink and lilac coloured along with blue. The thunder along with that was incredibly loud also. Sorry I'm a little bit confused. 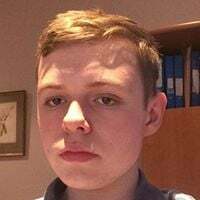 You say all lightning bolts are white, different colours being due to scattering, but then you say that there is a difference in temperature, indicating that the colour is dependent on temperature. Could you explain please? Forgive me if I'm being a little dumb. 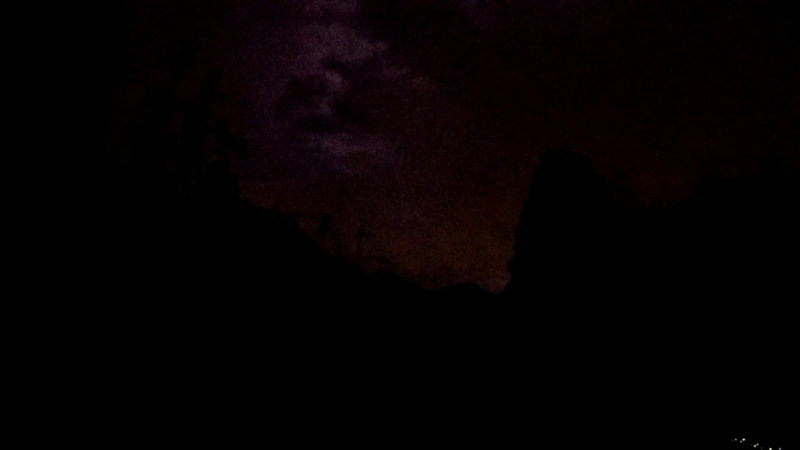 If you look at the actual lightning channel itself, it is always pretty much white, but the sky and clouds around it are lit up in the colour of the lightning, characterising it as lilac, blue etc If the clouds are lit up white by the lightning, then the lightning is characterised as "white lightning". 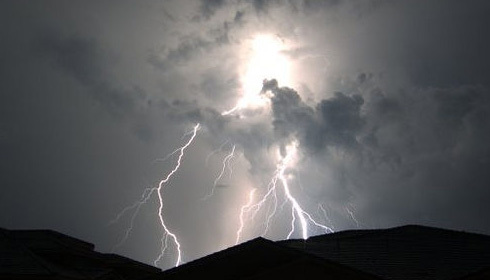 Scattering and refracting is one way in which lightning gets its colour, but temperature is another way. It can be a combination of a few factors, or just one single factor on its own. The point is...that any lightning strike, if viewed from only a few metres, would appear white; white is where its emission spectrum, due to its temperature, is. All the colours we observe from distance are created by subsequent physical/chemical interaction: refraction, absorption, re-emission from ionized gases etc. All of which depend upon the prevailing atmospheric conditions local to the spark...Just think of emission/absorption characteristics of stellar spectra? I have seen pink lightning, but was sheet lightning not fork. I thought at the time it may have been something to do with the light bending around the hills where the strikes were occurring at the time.